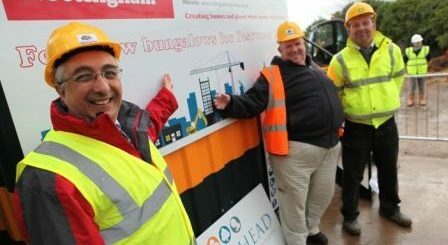 The B@Home Framework, procured through Efficiency East Midlands (EEM) aims to deliver over 100 high quality, energy efficient homes, over a four year period. The purpose of the framework is to build aspirations and raise standards together. We will achieve this by delivering high quality, energy efficient homes and a range of social, economic and environmental returns with an engaged supply chain.